The late Dr. James R. Fassett, Hartnell College alumnus, former Trustee, Founding Director of Hartnell College Foundation, and dear friend has remembered Hartnell College Foundation with a bequest. 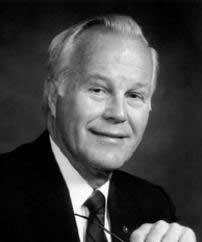 Prior to his death, Dr. Fassett created a charitable remainder trust with a life estate for a long-time friend. Hartnell College Foundation is named as one of the beneficiaries of the trust. Dr. Fassett was born in Des Moines, Iowa, and grew up in Gonzales. He attended Gonzales High School and later attended and graduated from Salinas High School. He was a graduate of Hartnell College and transferred to Stanford University, where he completed medical school. After serving in the Army for three years as a Captain, he finished his family practice residency at Monterey County Hospital, now known as Natividad Medical Center. He then returned to Gonzales where he was a family practitioner from 1948 until his retirement due to health problems in 1988. In 1980, Dr. Fassett received the California Medical Association’s first Plessner Award as the finest family practitioner in California. Subsequently, he was runner-up for Family Practitioner of the Year in the United States. Dr. Fassett served as a Founding Director of the Hartnell College Foundation and was instrumental in convincing his friend, the late Villeroy Gleason, also a Trustee of the College, to bequeath the Gleason Center in King City to the Hartnell College Foundation. Dr. Fassett served as a Trustee for Hartnell College for over 24 years and was extremely proud of his involvement in establishing Hartnell’s Registered Nursing Program and the cooperative Physicians Assistant Program between Hartnell College and Stanford University. In 1983, Dr. Fassett received the Hartnell College Foundation Distinguished Service Award recognizing his accomplishments and service to the Foundation, the College, and the community. Throughout his 40 years of service, Dr. Fassett always dedicated himself to helping others. Hartnell College and the Hartnell College Foundation are deeply grateful to Dr. Fassett for his involvement with the College as a Trustee and as a Foundation Director. Both the College and the Foundation appreciate his most generous bequest.